Kochi: Barring Bhuvneshwar Kumar all the Indian bowlers leaked runs in the first ODI against West Indies, but home team skipper Mahendra Singh Dhoni has backed his underfire bowling attack despite crashing to an embarrassing 124-run loss in the series opener here. India paid the price for some mediocre bowling as the Caribbeans, who were on the verge of boycotting the ODI, rode on Marlon Samuels' career-best equalling 126 not out to post a mammoth 321 for six at the Nehru Stadium yesterday. But Dhoni refused to put the blame on his bowlers, saying they did a "decent job". "What we have to evaluate is how the wicket was? I felt that it was a very good wicket to bat on. There was not much turn. Leaving aside Bhuvneshwar, most of our bowlers gave away runs. Considering this a total of 320 on this wicket, I feel our bowlers did a decent job," the skipper said. "I was quite happy with the death bowling. Our bowlers bowled quite consistently at the death. They maintained their lengths and we were able to put fielders in right areas. Overall, I am quite happy with the bowling," Dhoni said. "We bowled really well in the death overs. The ground is not very big, so 320-325 is a par score on wicket like this." Medium pacer Bhuvneshwar was the most economical bowler for India yesterday, conceding just 38 runs off his 10 overs but failed to pick up any wicket. If India's bowling was mediocre, their batting display can be turned as shoddy as the West Indies bundled out the hosts for just 197 runs in 41 overs to take a 1-0 lead in the five-match series. (Rahane) we could not stop losing wickets," he said. "While chasing 320 if you keep losing wickets in quick succession, it becomes difficult for the batsmen. We lost too many wickets in close succession. It was important to get partnerships going." West Indies started the series as underdogs but the Indian skipper said he was not at all surprised by the performance of the Caribbeans in the first ODI. "I think they batted really well. They have a fantastic ODI squad. They can bat till nine and they have got proper five bowlers besides a strong bench strength. All of them were quite experienced in bowling in death overs. They bowled consistently in the same areas. They have got the right kind of players," Dhoni said. 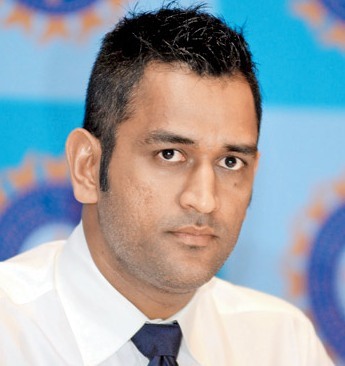 Asked to analyse the reason behind India's embarrassing defeat, Dhoni said: "They batted really well. We could not get too many wickets with the new ball. "They were hitting the big shots. We couldn't put pressure on them and gave them easy singles."